Live from WZRD is a series that takes place at a community college for Wizards. It is a talk show that is hosted by hip-hop artist Open Mike Eagle and comedian Dani Fernandez. Filmed at the student-run TV studio located at the East Gatewood Wizarding Community College, a 2-year accredited wizarding school. Live from WZRD will keep the students and faculty in the loop, all while educating them on the real world day-to-day lives of actual wizards. 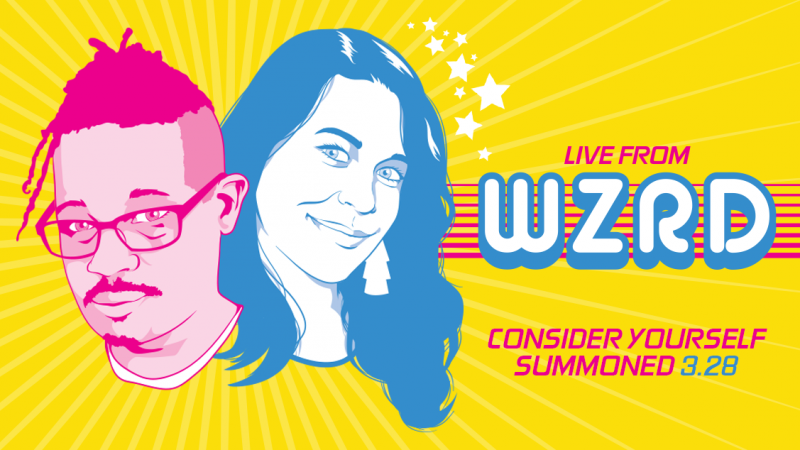 Live from WZRD will break the myths that Hollywood has about wizards and give them something real. The magical variety show will feature on-set segments with celebrity guests, mystical moments with characters around the school, and behind the scenes with some magical mischief. Some of the guests that will be visiting Live from WZRD include, SungWon Cho (ProZD), Grace Helbig, Mamrie Hart, Rhea Butcher, Yedoye Travis (stand-up comedian), Freddie Wong, and Travis Willingham (Critical Role). Joining Open Mike Eagle will be a recurring cast of wizards which include LilyPichu, Jessica McKenna (comedian, “Comedy Bang Bang!”, “@midnight”), Carl Tart, and Michael Blaiklock. “Some have long suspected that I possessed some dark power or belonged to some hidden fraternity. Welp, we’ve decided to let the cat out of the bag because we could use the press. I go to a wizarding school. I host the campus public access television show. I admit it. Now go watch it before we change our minds,” said host Open Mike Eagle. Live from WZRD will air on VRV every Thursday at 9 am PST and will run for a total of 8 episodes.